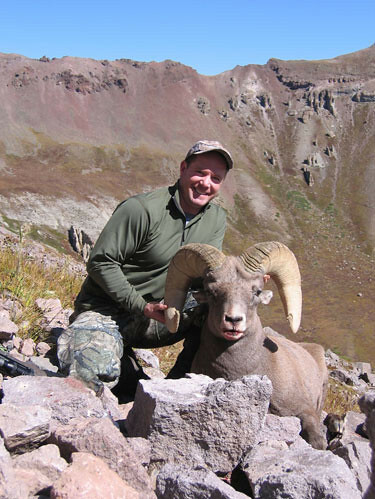 Big Horn Sheep – Successful. I couldn’t believe my eyes when I read those words on the Colorado Division of Wildlife website. The entire neighborhood could hear me screaming with excitement. Now that I had drawn a Bighorn Sheep tag for Southern Colorado, the pressure was on. 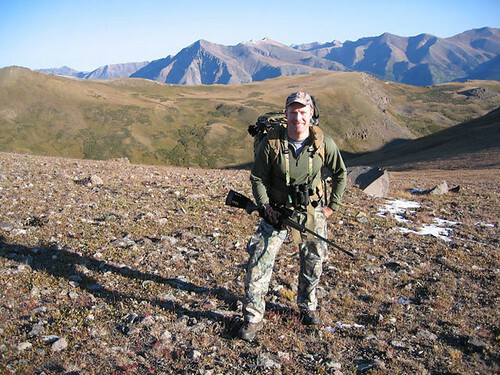 I immediately called my good friend and outfitter Jeff Chadd with Majestic Mountain Outfitters. He and his team immediately started scouting the area looking for big rams. The one piece of gear that I knew I needed to upgrade was my backpack. 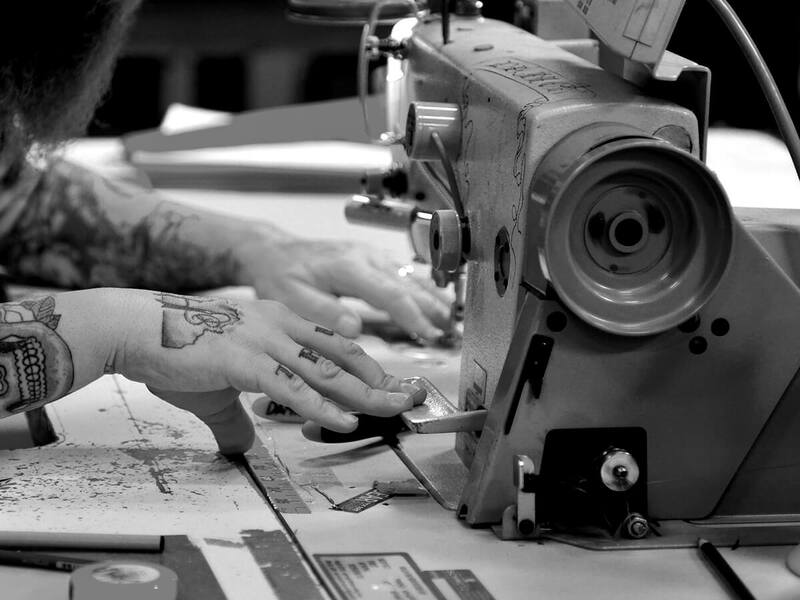 I had been using an original Dana Design Terraplane. As luck had it, I found the Mystery Ranch Backpack facility during a trip to Bozeman, Montana. I was so interested in their products that I stopped by their store in person with my original Dana pack in tow. Mark Seacat did a great job of fitting me for this new NICE Frame and Crew Cab. We compared my original pack to the new pack with weight, comfort, etc. Mark even introduced me to Dana Gleason, the founder of Dana Design and Mystery Ranch. 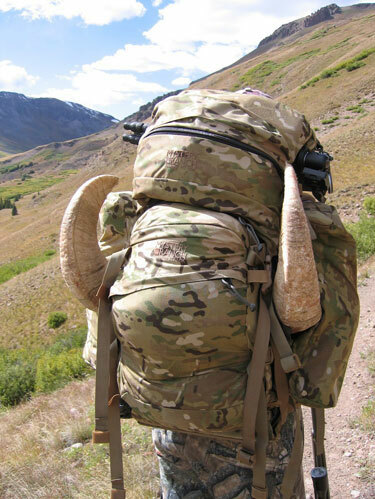 I was only dreaming of loading up my Bighorn Ram onto this pack. Over the summer, I spent several weekends in Southern Colorado scouting my area. The Crew Cab was extremely comfortable and did a great job of hauling all my gear for the numerous trips. We bounced up the jeep road all the way to 12,000 feet. We put up a simple tent and hiked up the ridge to glass for sheep. The snow that fell the week prior, made finding the classic sheep butts more difficult. We were quickly approaching our last spot to glass as the sun was dropping. We popped over a ridge and sat down to look across the valley and into a drainage. We peaked over this ridge, but initially didn’t see any sheep. Right after we sat down, I realized that there were three rams just to our right in the very bottom of the basin. They had already seen us. I was scrambling to grab the range finder as my guide Chip glassed them through the Swarovski spotting scope. He’s a shooter was all I heard. The Rams were just over 600 yards and this was only the first day. We tried to back off and sneak around to get closer, but when we popped back over the ridge several hundred yards closer to look, they were no where to be seen. We spent the entire next day looking for these rams. We hiked over 10 miles and 5,000 vertical feet. No rams. We were very discouraged. The next morning we hiked the lower drainage and immediately saw three rams feeding on a steep face directly across the valley from where we had glassed the rams the day before. We studied the rams and identified the lighter colored ram to be the biggest. We planned our stalk. My guide, Chip, was going to stay in plain sight for the sheep to watch while I hiked down the valley and across through the willows, trying my best to stay hidden. I was thankful that my Multicam Crew Cab had such a great camouflage pattern, since the sheep were able to look directly down on me during the approach. I successfully crossed the valley and hiked up about 1,200 ft behind a ridge where the sheep were not able to see me. I caught my breath and slowly peaked over the ridge with my range finder. The distance was 400+ yards and the rams had already started moving. They were about to disappear, up and over the top, it was now or never. I shot, but the rams kept moving, running single file across the face. They stopped and I could identify the lead ram as the lighter of the 3. Boom! I heard Chip scream with excitement from the valley floor as he watched the events through the spotting scope. This time my ram folded. The other two rams ran within 100 yards of me, not knowing where the shots had come from. Chip and I hiked over to the ram. He was beautiful. We took loads of photos. We quickly caped and quartered the amazing animal. We were close to 5 miles from the truck. I wasn’t worried at all about the heavy load, knowing the hauling power of my Mystery Ranch Crew Cab. The pack was awesome, expanding to hold the head/horns, cape, meat, and all of my hunting gear. The pack was pushing 100 pounds. It was amazing how snug this pack fit even loaded up with sheep and gear. Our hike out was extremely steep, but the load on my back was a dream. Great job to the folks at Mystery Ranch! You guys were a huge part of the success of this hunt.